As an open, non-proprietary, high-performance, and secure building automation platform the IP500® standard does indeed set new standards. It is the only wireless technology standard to ensure maximum interoperability by using and supporting the main industry norms and by clearly specifying all interfaces. 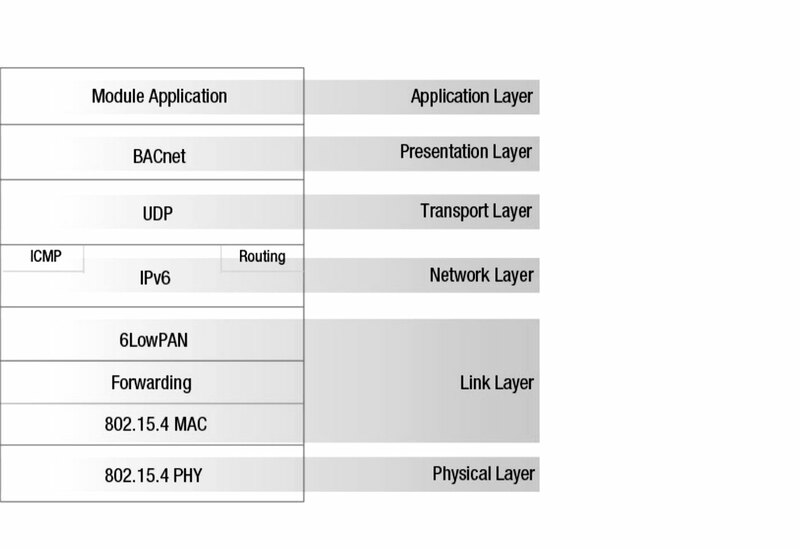 It uses and supports IEEE 802.15.4-2006, 6LoWPAN, IPv6, IPSec, BACnet, and AES128. Furthermore, the IP500® standard is the first and only wireless-based solution that will fulfill all of the EN and VdS specifications for products and electronic devices in safety and security relevant applications such as fire protection, break-in protection, or access control. The IP500® platform thereby lays the groundwork for sustainable, energy-efficient, easy-to-integrate building automation solutions. This applies both within a discipline and across disciplines to the vendor-neutral deployment of products and systems. They can be networked and controlled securely and easily using an extremely small amount of energy. As a consequence, IP500® solutions achieve higher profitability and provide assured investment protection at all levels of value creation. In addition, a large number of applications can only be run with the aid of IP500®: uses such as coupling sensor data and energy management systems simply and easily or linking fire alarm systems with lighting installations. At present no other wireless system delivers the required conformity to standard national guidelines such as VdS in Germany and to European norms. Installing and operating standard-compliant wireless and open solutions in the commercial sector will require the IP500® standard. The IP500® standard not only simplifies the servicing and maintenance of smart buildings; it also ensures maximum flexibility in the use of different components. Furthermore, no special network or system know-how is required for specific manufacturers. So the wireless-based solution is ideally suited for swift and easy installation of state-of-the-art communication networks and a free choice of manufacturer. The same applies to mobile terminal devices and apps, such as access cards or messaging apps that can be integrated into the system easily and securely. Finally, IP500® solutions are almost unlimited in their configurability, scalability, and upgradability at any time. A further benefit of interoperability is the cost saving that it provides. The more different the systems and the less interoperable they are, the higher the cost of running a building. Conversely, substantial cost savings can be achieved by simplifying the basic infrastructure by means of a uniform wireless protocol and a high level of interoperability. They result mainly from uniform maintenance and operability, similar management tools and lower training costs for personnel. That leads to a reduction in the total costs of ownership (TCOs). These lower training costs also benefit from the use of well-known, long-established IP-based technologies. This basic know-how is already in place at most companies and does not need to be acquired at great expense in terms of time and money. A minimum of training is sufficient to bring the right employees up to the state of the art. It must also be assumed that response times in an emergency (fire, break-in, etc.) will be shorter and that risks can be further minimized. 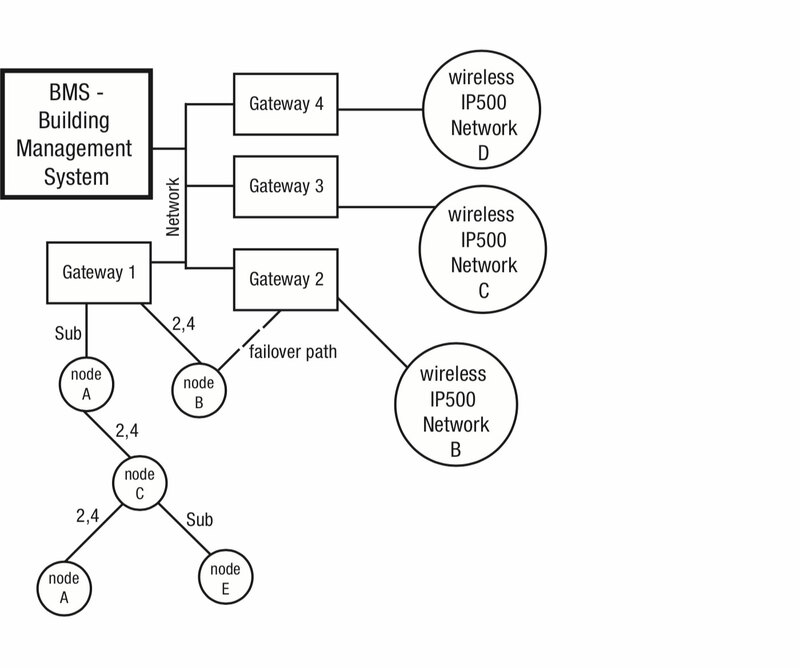 The technical components of the wireless IP500® communication platform are the IP500® module (microchip) and the IP500® infrastructure (networks and defined network services).